After two hours, the stage was strewn with foil curtains, roadie paraphernalia and dry ice. “I’ll never forget my first Forced Entertainment show,” says Laura McDermott, creative director of the Attenborough Centre for the Creative Arts, at Sussex University. It was Bloody Mess (2004) at Riverside Studios in London. 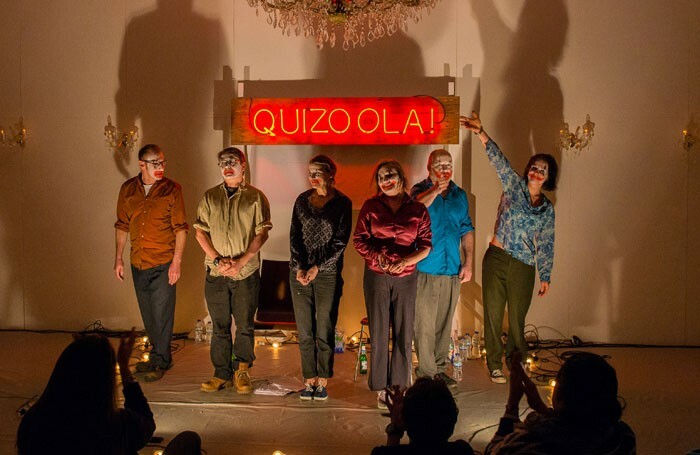 This month, Sheffield-based experimental theatre ensemble Forced Entertainment’s latest show – the absurdist, part-cabaret, part-gameshow Real Magic – has its UK premiere at the Attenborough Centre. It’s the first piece McDermott commissioned when she became the centre’s creative director, and follows her work with the company when she was co-artistic director of Birmingham’s Fierce Festival. Forced Entertainment has baffled, beguiled and challenged audiences and critics since 1984. The company is among the most important and influential theatremakers in the UK, inspiring generations to break away from narrative-based work, play with form and explore what performance is and could be. Earlier this year, it won the prestigious International Ibsen Award, which honours those who have added a new dimension to theatre. Now, Forced Entertainment inspires other British theatre-makers – sometimes into outright emulation – but the company originated in a desire to break with what had gone before. 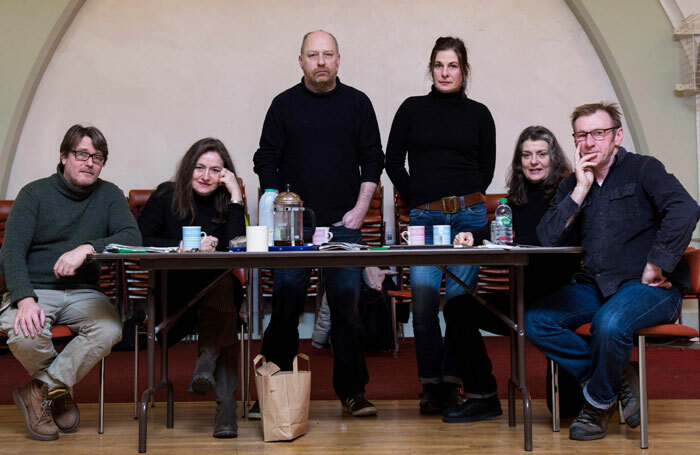 “Theatre felt very protective, and slightly tetchy, about what it was and what it wasn’t,” says artistic director Tim Etchells, who created Forced Entertainment with fellow Exeter University drama graduates Richard Lowdon, Robin Arthur, Claire Marshall, Cathy Naden and Terry O’Connor – all still core members. “In the mid to late-1980s, it was very difficult to do anything that wasn’t a naturalistic, psychologically realistic kind of narrative theatre,” recalls Arthur. “Certainly, it was very difficult to do things that weren’t linear stories.” So, after moving to Sheffield and forming Forced Entertainment, the group focused on doing just that. The embryonic company benefited from Exeter’s drama course at that time, “which was very experimental”, says Etchells. Its laboratory-style encouragement of alternative ways of thinking about the nature of performance chimed with a group of like-minded students frustrated by British theatre. Arthur points to (Let the Water Run Its Course) To the Sea That Made the Promise (1986) as a landmark production for the company. Its first show to receive Arts Council England funding, “it also pointed us in a certain direction”, he says. “We’d been very influenced – as we are now – by the ripple effect of [German performer and artist] Pina Bausch.” But Let the Water Run was “lo-fi and grungy”. It was informed by “the world we were living in, Sheffield, which wasn’t elegant and European”. It was also the first Forced Entertainment show that Lois Keidan saw. Then at the Midland Group, she is currently co-director of the Live Art Development Agency. While director of live arts at the Institute of Contemporary Arts, she commissioned Red Room, Forced Entertainment’s first non-theatrical piece, Etchells’ first independent work, and continues to regularly collaborate with (and champion) the ensemble. “They have never settled down,” Keidan says admiringly. With performances lasting an hour or a day, “they’re constantly experimenting and constantly re-imagining, working across not only different media, but different scales”. She also highlights the fact that Forced Entertainment was “one of the first groups of artists to look at new technologies, at things like CD-ROMs”. 1. Formed in 1984, the company’s six artists have been working together for 32 years. It received regular funding from Arts Council England in 2000. 2. The company started with money from the Enterprise Allowance Scheme, a Thatcher government initiative that guaranteed a weekly income to unemployed people if they set up their own business. 3. The theatre performances Forced Entertainment makes can last from one and two hours to 12 or even 24 hours in duration. 4. Based in Sheffield, it has created more than 60 performance projects that have toured extensively in the UK and internationally to more than 40 countries. 5. It won the International Ibsen Award in 2016. This has produced a rich variety of work. 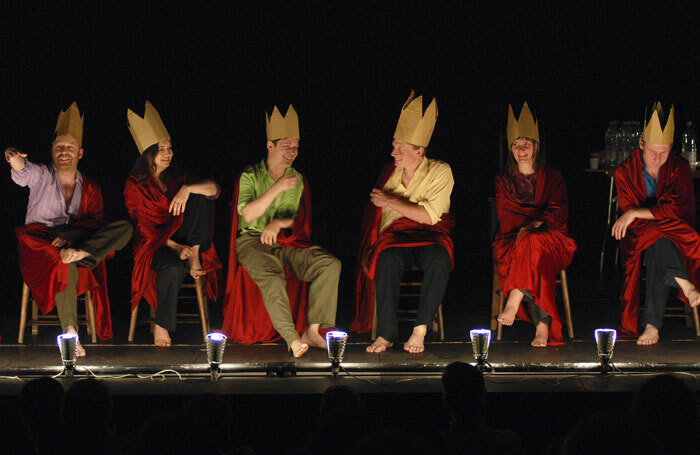 The company still performs Speak Bitterness (1994) – “it’s one of those shows that can grab the reality of the social landscape and speak about it,” says Etchells – and is reprising And on the Thousandth Night (2000) at the Attenborough Centre, after Real Magic. For Arthur, part of what has kept the ensemble together is that “none of us are particularly volatile, especially at work”. The most significant thing, on a creative level, says Etchells, “is that we’ve allowed ourselves, as a group, to do different things”. This has meant “not getting trapped in what we had become known for”, whether that has been for highly visual, soundtracked or improvised work. Recently, for example, Forced Entertainment adapted 36 Shakespeare plays using table-top condiments. Forced Entertainment founders Robin Arthur, Terry O’Connor, Tim Etchells, Claire Marshall, Cathy Naden and Richard Lowdon. This creative mischievousness, anchored to shaking up how theatre audiences see and think, has been a constant. It has kept Forced Entertainment going through financially leaner and more theatrically conservative periods – ACE only awarded them regularly funded status for the first time in 2000, 16 years after they started – and still drives them forward. For Etchells, winning the Ibsen award is important because “it sends a signal about theatre, about what it can be, and how that’s changed in recent years”. He speaks passionately about “the waves of artists, now, who are working as groups, who are working through devising, who are exploding what theatre is”. He also notes that, while there is willingness for experimental work, funding cuts in the UK are having an impact. 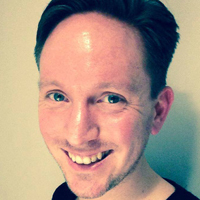 Forced Entertainment often works in partnership, he says, “and there aren’t that many festivals or programmes here that have really got the money to put into projects on a co-production level”. He continues: “So, in terms of finding partners who’ve got the money to help support the creation of work, and who can afford to pay decent fees for presenting that work, we’re often drawn outside the UK [to places such as Belgium or Germany].” Real Magic, for example, is a co-production with the Attenborough Centre and a number of German theatre venues.